AshK1980's Characters Check it Out! Galactic Guardians, Pikachu/Orion, Azumarril/Andromeda, Lucy Heartfilia/Sailor Aquarius & Fleura Shirabe/Cure Harmony. 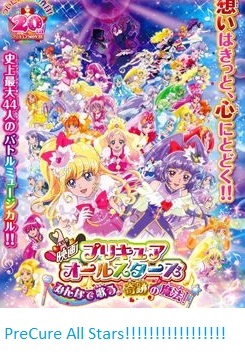 Happiness Charge Precure Cast: Cure Lovely & Cure Honey. Kumi-Chan's Characters Posted with Iorichan's Permission By AshK1980. Suite Precure Cast: Cure Melody, Cure Rhythm, Cure Beat & Cure Muse. Happiness Charge Precure Cast: Cure Shield & Cure Fortune.